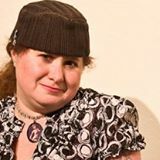 On Sunday, November 19th from 12-2pm, join Left Coast Writers® Live on FCCFREE RADIO’s popular show, Lilycat on Stuff. Lilycat’s guests on Sunday will be Audrey and David Fielding. This is a very special event! We meet on the first Monday in November at Book Passage in Sausalito! Our speaker is Albert Flynn DeSilver, whose been a member and is a long-time Left Coast Writers favorite. There is Book Passage dedicated parking close to the store. On Sunday, October 15th from 12-2pm, join Left Coast Writers® Live on FCCFREE RADIO’s popular show, Lilycat on Stuff. Lilycat’s guest on Sunday will be Barbara Ridley. Barbara Ridley is a writer living in the San Francisco Bay Area. She is the author of When It’s Over, a literary novel set in Europe in World War II, to be published by She Writes Press in September 2017. Originally from London, U.K., she has lived in California for over 35 years. She loves the San Francisco Bay Area which is now her home, and likes to spend as much time as she can in the great outdoors. She was born in London and grew up in a tiny village in Sussex. She attended the University of Sussex and then the North London School of Nursing. She worked for over 30 years as a nurse and then a nurse practitioner, specializing in the care of adults with physical disabilities. She has now retired from her day job and is focusing on her writing. She lives in the East Bay with her partner and their West Highland terrier MacDuff. Once again we have a very special treat in store for you. David Downie, author of A Passion for Paris: Romanticism and Romance in the City of Light and his new book, A Taste of Paris—The History of the Parisian Love Affair With Food, joins us again—all the way from Paris—this time in Conversation with Laurie McAndish King, author of Lost Kidnapped and Eaten Alive and Your Crocodile Has Arrived. Whether or not you are mad about Paris and travel and food, we are certain that this is going to be a delightful and informative evening for all concerned, and we hope you will spread the word. We also invite you to bring a guest. Just let us know who’s coming.